I had the opportunity to participate in a great event on October 24th at Northwestern University. Intersections and Transitions: Designing Welcoming Experiences which was hosted by Design for America. This event was linked to Chicago Design Week which organizes several related activities in Chicago because the definition of design and its role in society is evolving at a rapid pace. A deepening overlap between disciplines, skills, roles, perspectives, industries, communities and more has never been more apparent or more integral to how the design community defines itself. Collaboration and debate, synchronicity and tension—these forces are driving the evolution of the profession, the world around us, and role we play within it. Design can play a key role in guiding and easing transitions. What makes us feel welcome? How do we navigate the intersections that confront us during important life transitions? DFAlumni + Friends gathered to hear from a variety of designers as they reflect on their own experiences of entry, inclusion, and confronting change. Together we explored the idea of what it means to feel welcome in a new place or community. Participants also practice empathy and other design thinking methods to create more welcoming and inclusive communities. The program was intended to provide a new perspective on inclusive design that encourages one to consider our own approach to transitions and journeys. Design for America equips students to tackle social challenges through design innovation. Interdisciplinary teams apply the design process to tackle extraordinary challenges in health, economy, education, and environment. DFA projects fuse collaboration, leadership, and creativity. Campus Studios are located at universities across the USA and are the heart of DFA. DFA student-led studios connect local organizations, mentors, and interdisciplinary student teams to practice design innovation and help change their communities for the better. 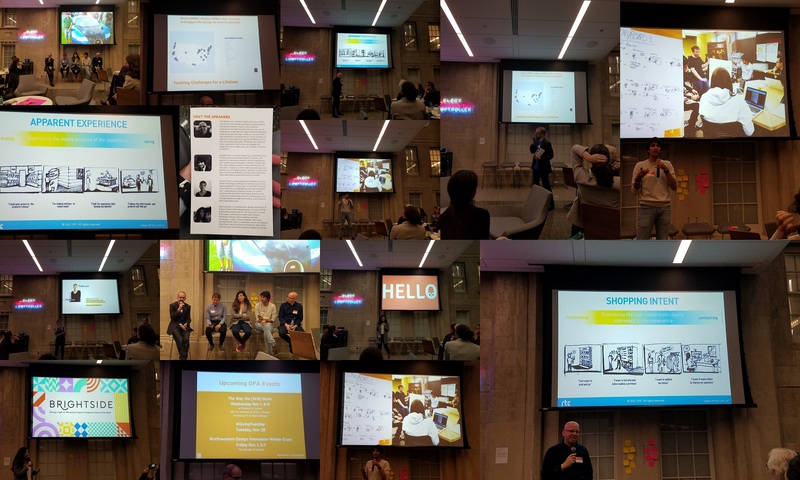 This was a fun and energizing session related to Design Thinking and another milestone as we build our participation in the Chicago Innovation Ecosystem and expand our SAP Next-Gen network.